Pangolins are already almost gone in Asia — now poachers have begun taking them from Africa at alarming rates. Pangolins are already almost gone in Asia — now poachers have begun taking them from Africa at alarming rates. Submit a public comment to the U.S. Fish & Wildlife Service before November 30. Dear U.S. Fish & Wildlife Service: I’m writing to urge you to ensure the strongest possible protections for highly endangered pangolins. 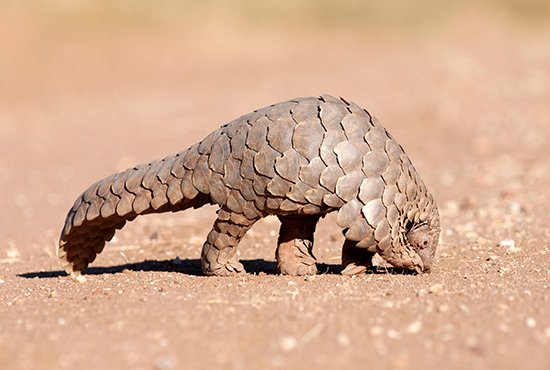 As you’re aware, pangolins were included on Appendix I of CITES in 2017, prohibiting them from being traded commercially on the international market. But some countries are now arguing that because the specimens in their stockpiles were collected before the species was listed, they should be allowed to sell them. With pangolins being poached at alarming rates we must act now to bring them back from the brink of extinction. Please submit a document to the CITES Secretariat opposing this dangerous proposal and do all that you can to ban all commercial trade of pangolins. Thank you for your attention to this critical matter.